Grant first became familiar with Neo4j when he started working for Cambridge Intelligence. He didn’t have any prior experience with the database, but found the tool’s documentation and Cypher query language extremely user-friendly. 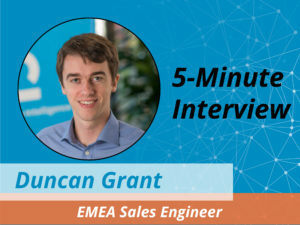 In this week’s five-minute interview (conducted at GraphConnect San Francisco), we discuss his experience learning how to use the database, and the company and trade-mapping projects currently underway. 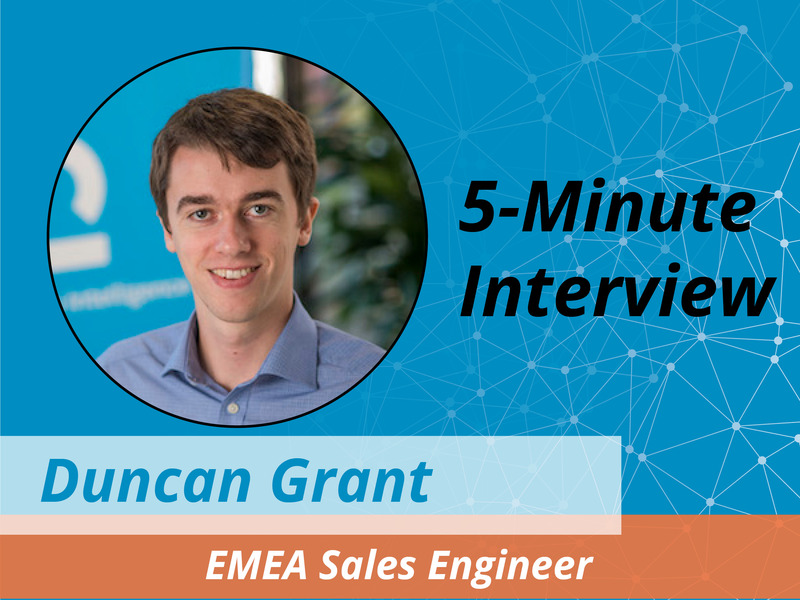 Duncan Grant: I first heard about Neo4j five or six years ago when I was researching databases, but didn’t start working with a graph database until I joined Cambridge Intelligence about two years ago. 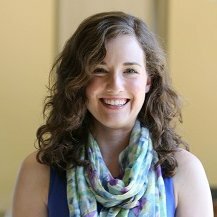 Grant: It’s a well-established graph database that fits well with our products — for example, we have a number of graph visualization systems built off Neo4j. A great feature of Neo4j is its documentation, which makes it really easy for people who are new to graph databases and theories get started. We also really like Neo4j’s graph query language, Cypher. Grant: We’re currently working on a project for a client to map companies and directors. There are large conglomerates with a number of subsidiary companies underneath them, and we are helping determine where certain failures within the company originate. For example, perhaps you can find an underperforming director who is connected to multiple companies and failed projects. Or if a company has had to close because it’s unsuccessful, they might want to find out why. Grant: The great thing about Cypher and Neo4j is that you can start working with them easily, even without knowing everything about them. A few months ago, I completed the online Neo4j development course, which was a great opportunity to learn more about the inner workings of Neo4j. To prepare for that test, I learned a lot about the platform that I didn’t know before. If I could go back in time I would have done the training sooner. Is there anything anything else you’d like to add or say? Grant: I think Neo4j is a great graph database that works really well with Cambridge’s network visualization tool KeyLines. If you want to work with a graph database and develop really good visualized data, they’re two complementary products. Want to learn more about graph databases and Neo4j? Click below to register for our online training class, Introduction to Graph Databases and master the world of graph technology in no time.